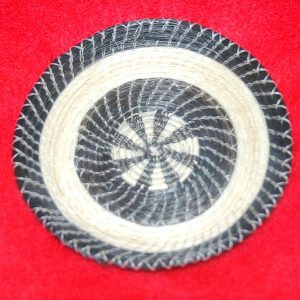 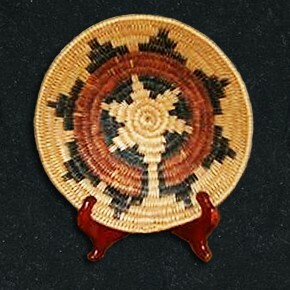 15″ California Mission tray, probably Luiseno tribe. 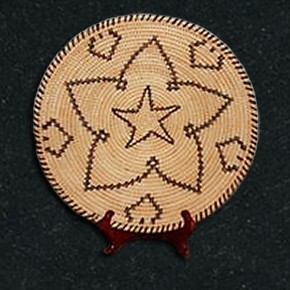 The color has faded some with time and use and there are a few stitches missing on the rim. 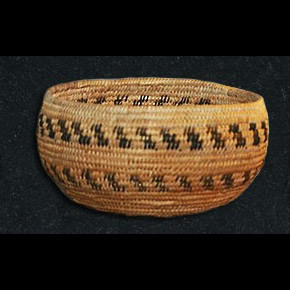 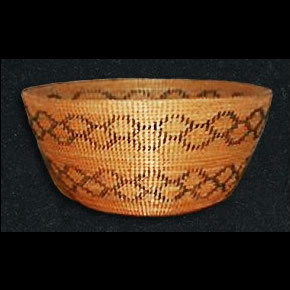 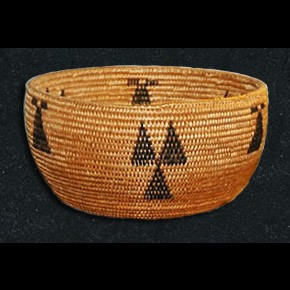 But still a nice and historic basket. 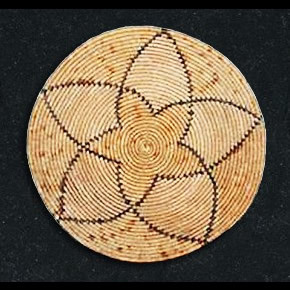 Sumac and juncus.